S.A.F.E. 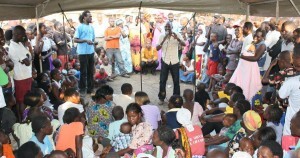 is a Kenyan NGO and UK charity that uses the performing arts and community programs to inspire and deliver social change. S.A.F.E’s programs are welcomed by the community, this results in huge increases in the take up of services and interventions. The Marion Institute is a 501(c)3 organization. All donations are tax-deductible.